Transitioning from full-time to part-time mimics going from part-time to full-time in reverse. You have just as many questions, and the same feelings of fear and excitement take over. I’d like to address some of those fears with you and share in the excitement. Whether you are just thinking about coming off the road, in the middle of the transition or have already returned home, it’s a journey we can share together. Where will you go? Where will you stay? When deciding what to do it’s important to set a deadline and be realistic. One thing we did not expect was having issues finding a landlord who would rent to us. Not because we were bad renters or had evictions, but because landlords want to see consistency. Many don’t understand or aren’t educated about full-time RVing. However, once they meet you and see how wonderful you are, you won’t have a problem finding a home to rent. What about buying? Didn’t we just sell everything we had, including our home, to venture out into the world of full-timing? It is like starting all over again, and what if we want to travel again full-time? These are things to ponder. Just remember, there is no wrong answer. Choose what fits you at the time, because change happens, and it happens often. Embrace the changes. The hardest part about coming off the road is fulfilling that desire to be free. I love adventure, I love the outdoors, and I love nature! When full-time RVing, every day was adventure and every day was spent outside exploring nature. We went to places like Disney, Give Kids the World, Dollywood, and Kings Island. We went canoeing on the Mohican River in Ohio, we fished the shores of Peace River in Wauchula, Florida, and we swam with the dolphins at Manatee Beach in Bradenton, Florida. How in the world will we ever accomplish these amazing adventures again? Sadly, we have now been off the road for about two years and our adventures now consist of watching what we used to on TV. We have reverted to couch-sitting, TV watching and feeling like a part of us is missing out on life. The biggest downside is the adventures are gone. The biggest pro can be stated with one word — family. We get to see family more. Since coming off the road, we have suffered the loss of my father. His health was partly to blame for our coming off the road full-time. We wanted to spend what time he had left with him. Another pro is my very own bathroom! No more RV or campground showers. I have a huge tub I can soak in and a shower with a rain shower head. Also, a washer and dryer is a pro. No more laundromats, no more hand-washing clothes, and no more having to wait to do laundry. I can now wash whenever I want when I want. My husband likes to tease me and says I invent things to wash just so I can wash.
I’d like to say this is an easy task, but it’s not. Thanks to family members, we have more than what we need. I personally found it easier to be a minimalist when I was in my RV full-time. The more space one has, the more things one accumulates. If you plan to stay minimalist off the road, I suggest you do a spring cleaning every six months. This will keep you on track. All I am left with now is reminiscing. Like the time our axel broke and our tire went flying down Interstate 75 near Cincinnati. My husband was driving the truck, pulling our 30-foot RV and I was following behind in my car with two kids and a dog. We limped that RV 30 miles back to our previous campground. I am sure it was a sight to see. I am just glad everyone is OK.
You can probably relate to unexpected breakdowns. Another unexpected adventure was purchasing a new RV tire from a local tire shop prior to traveling through downtown Atlanta! By the time we reached the other end of downtown we burnt through that tire and had to purchase another one. Stop-and-go traffic on midday asphalt was like driving on hot coals. Lesson learned, the only good time to go through downtown Atlanta is at 2:00 a.m. 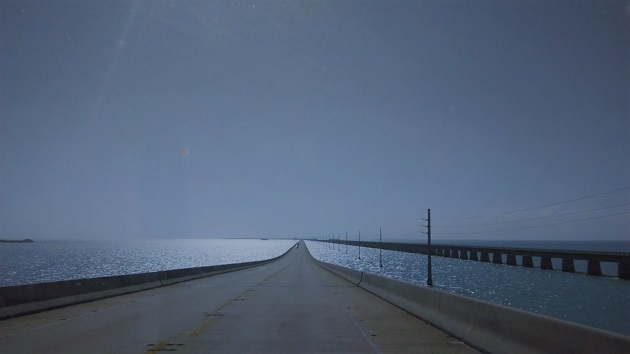 The Seven Mile Bridge in the Florida Keys. The most amazing memory I have is staying in the Florida Keys. If you don’t do anything else in life you must visit the Keys. You haven’t lived until you’ve crossed that crystal-clear blue water while traveling on the Seven Mile Bridge. Seeing the water on both sides is breathtaking. 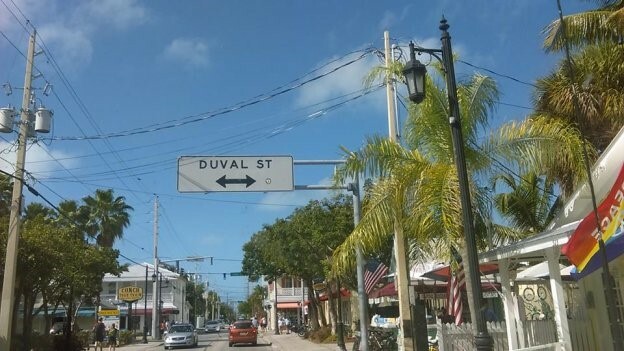 Walking the narrow streets of Key West and shopping in all the quaint little shops is something you want to do. I still have the beach towels I bought that are neon green with the Key West logo imprinted on them. I remember the taste of key lime ice cream from the local ice cream shop. Remember, whatever you decide, you always have a choice. Do your research; think about where you’d like to settle down. By this time, you’ve traveled all over the world and you know what you like. I really like Alabama. The weather is nice there year-round, and the people were friendly. Settling down can sweep you up and take you by surprise. Therefore, plan future camping trips so you don’t feel like you’re losing out on life. Decide what RV memberships you want to keep or sell. 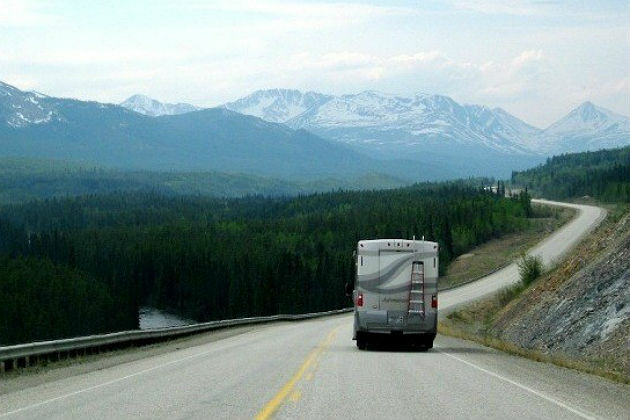 Think about your RV; will you downsize? Will you rent it out? A lot of folks are going this route now — they rent their RV out like time shares at a condo. When not being used, it can be added income.